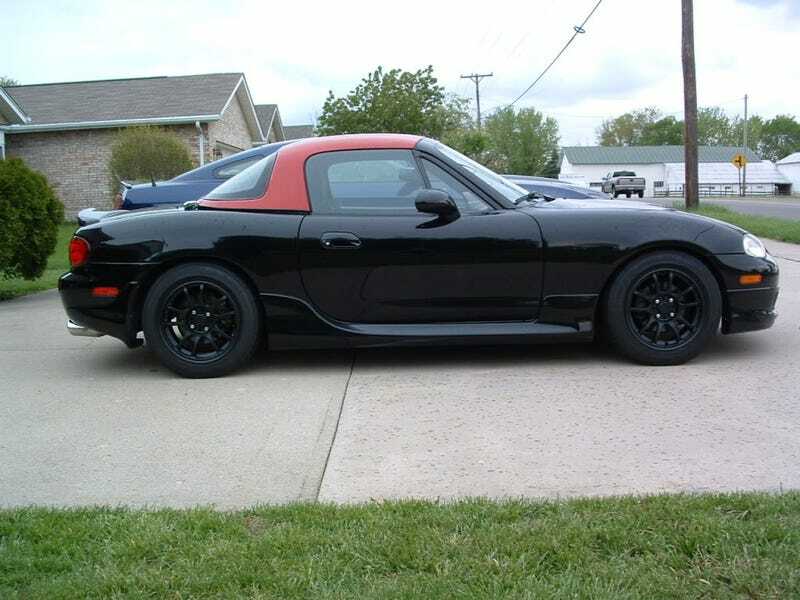 Any Miata hardtops for sale in the Colorado area? Long story short, I was caught in a pretty massive hailstorm last week. My softtop was punctured in a few places around the rear window. Apparently there is quite a bit of hail damage on the body of the car (I seriously can’t see it on the dark Emerald Mica paint) and my insurance has decided to total the car. WHICH gives me the perfect Exocet donor. LSD, VVT, and Ohlins coilovers are already on the car. So while I save up for the rest of the Exocet (my insurance payout was pretty decent), I’m going to continue driving the Miata. But rather than replacing the softtop, I just want to pop a hardtop on the car until the Exocet gets here, then I’ll sell the hardtop again. ANYWAY, is anyone looking to sell their hardtop in the Colorado area? Not looking to low-ball anyone, we all know what these hardtops are worth. Thanks!